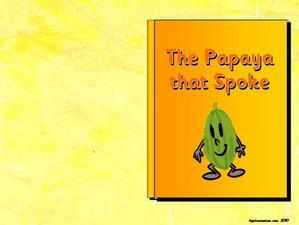 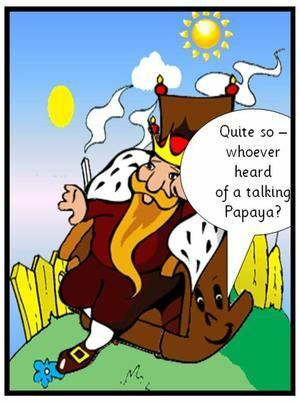 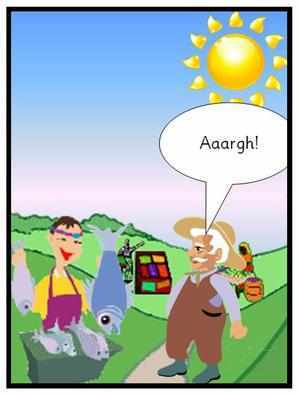 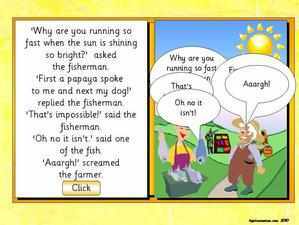 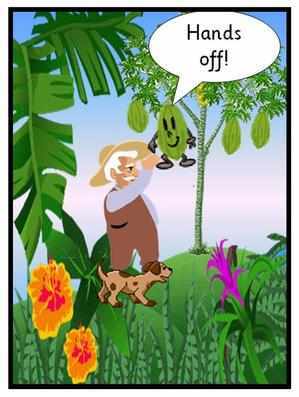 EYFS, KS1, SEN, New Curriculum storytelling, writing, "The Banana that Spoke" adapted for Pie Corbett's "The Papaya that Spoke"
A Powerpoint presentation of The story of The Banana that Spoke (a superb adaptation of Pie Corbett's "The Papaya that Spoke" (see free resources below). 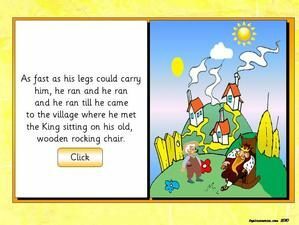 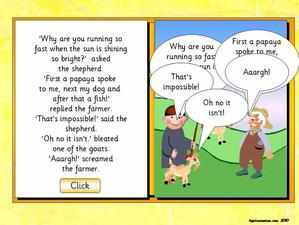 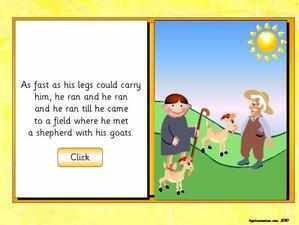 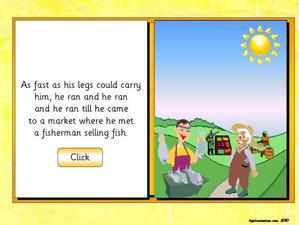 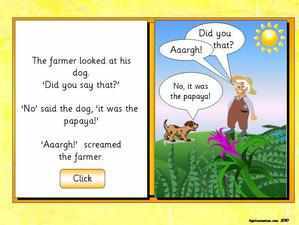 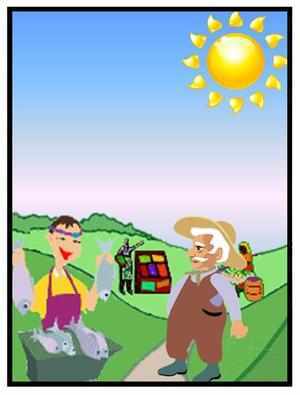 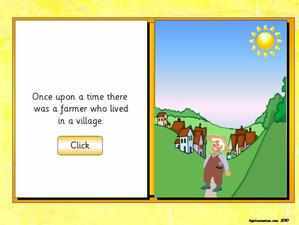 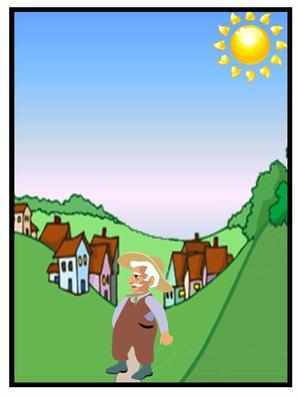 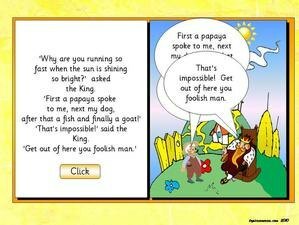 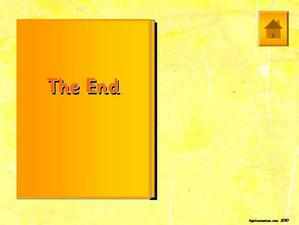 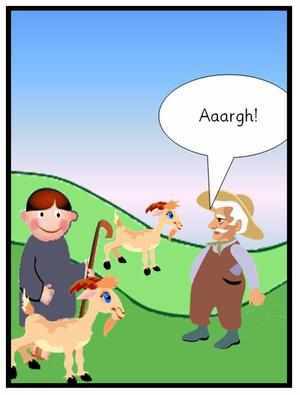 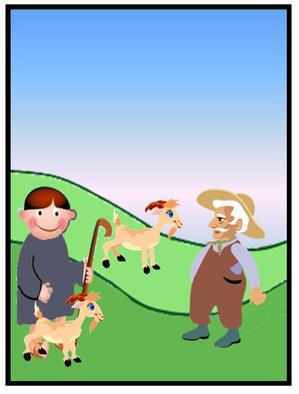 Includes action buttons, animations and sounds and using the same simple story language that has been used for the Action Bank, Story Pathway, Story Mat and Story Sequencing cards shown below this powerpoint. 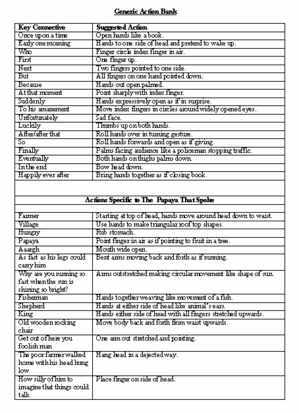 Slide 1 - Action Bank of suggested actions for story telling. 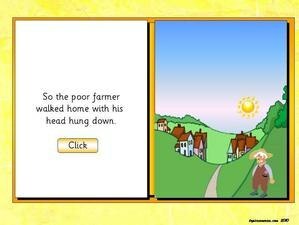 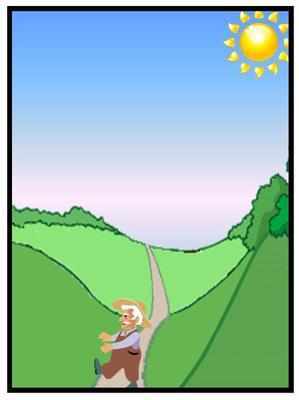 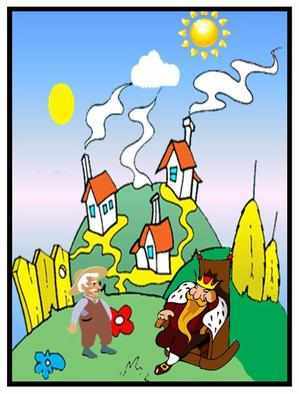 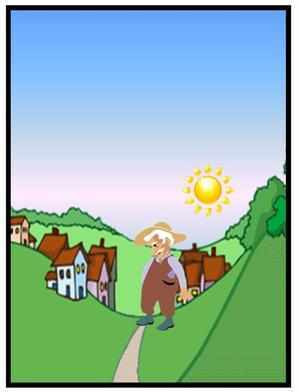 Slides 2 and 3 -A story pathway using the same pictures as the story presentation. 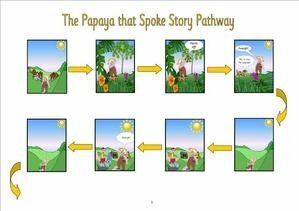 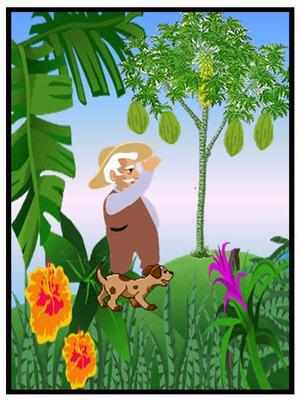 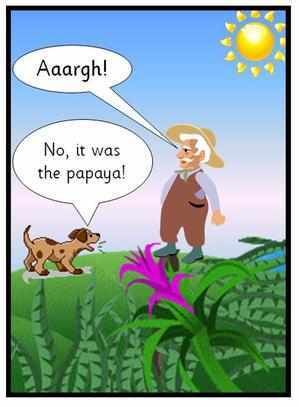 FREE STORY RESOURCES FOR "THE PAPAYA THAT SPOKE"
A Powerpoint presentation of The story of The Papaya that Spoke including action buttons, animations and sounds and using the same simple story language that has been used for the Action Bank, Story Pathway, Story Mat and Story Sequencing cards shown below this powerpoint. 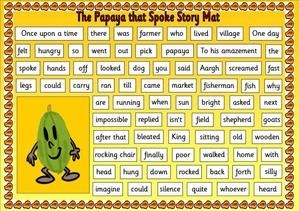 I have used this collection to help encourage groups of reluctant young boys to write - with remarkable results! 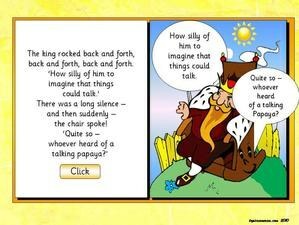 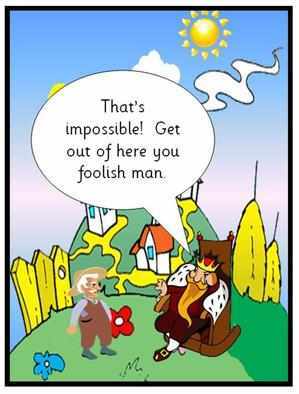 Please click here for a preview of sample slides in action. 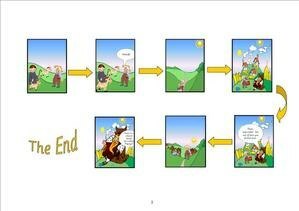 Slide 1 and 2 - Action Banks of suggested actions for story telling.